Get really clear on your goals both short term and long term. I will diagnose the biggest obstacles that are stopping you. Tell you exactly what you should focus on to move forward. My best recommendation for strategy and the next steps you should take. My honest evaluation on what is possible for you and how far you can go based on your skills and goal. This amazing session will be recorded so that you have the ah ha moments, clarity and strategy right there at your fingertips, I guarantee you will want to listen again. This session is worth $500. Select one of the options below and let's shift those money beliefs. In this class, you can clearly see and feel why don't you have more money. 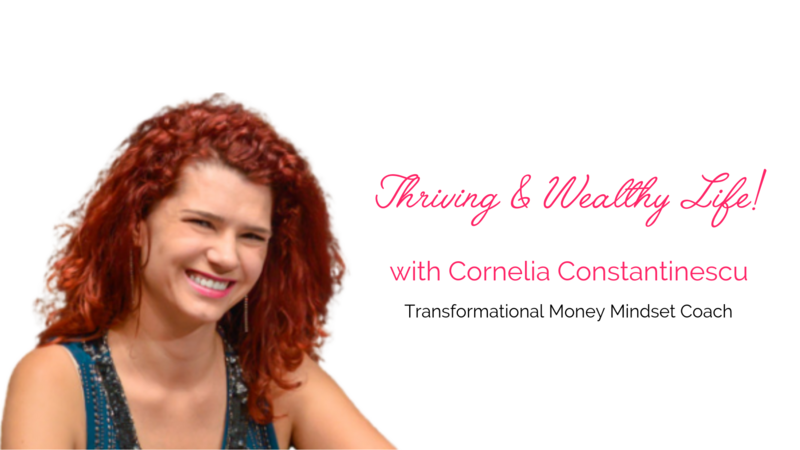 This is a FREE 30-60 minutes call with Cornelia, Transformational Money Mindset Coach. * Please note by scheduling a call with Cornelia you are also opting for her email list. We value privacy and will not be sharing your contact information. This is an intensive class, where we are going to see what are the blocks that are holding you back from leaving the life you desire.